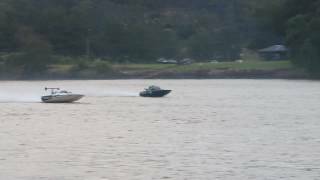 Australian and NSW Circuit Power Boat Championships. 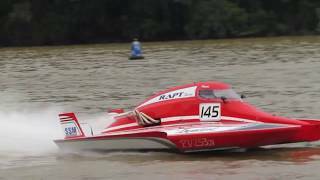 Australia's best power boat racers competing for two Australian and two NSW Championships and many other prestigious trophies with at least 25 races each day on the Saturday and Sunday of the Queens Birthday long weekend in June. Competitors are aged between eight and 65 and they compete over three laps on a 1.6 kilometre anti-clockwise circuit at speeds between 64 kilometres per hour and 240 kilometres per hour. There are between four and eight competitors in each race. Its horsepower heaven if that's what you are into and it all happens within strict safety guidelines. Catering and merchandise available onsite.